Even with the now thoroughly leaked LG Nexus 5 about to make an appearance, you can still save some cash in the short term by picking up the LG G2 from Amazon. The AT&T variant can be had right now for a mere $99.99 on contract for all new lines and upgrades. 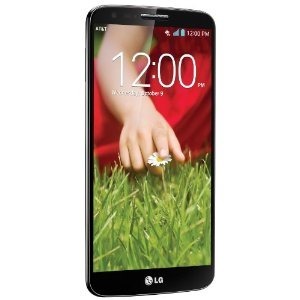 The LG G2 on Ma Bell is closely related to the standard international edition of the device, unlike the Verizon version which took some liberties with the casing. The G2 rocks a 5-inch 1080p screen, 2GB of RAM, a Snapdragon 800 processor, and those wacky rear-facing buttons. Last time this version of the phone was on sale it clocked in at $149.99, so this is a good deal if you're in the market for a G2.